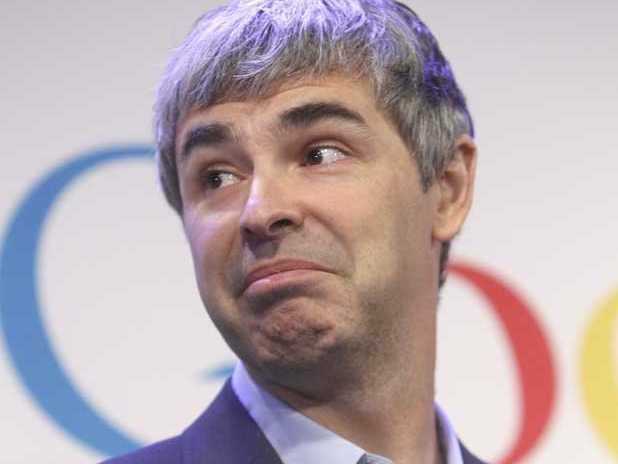 There's a running joke about CEO Larry Page among Googlers in the company's "moonshot" division, according to Fortune's Miguel Helft. "A brainiac who works in the lab walks into Page's office one day wielding his latest world-changing invention-a time machine," as Helft tells it. "As the scientist reaches for the power cord to begin a demo, Page fires off a dismissive question: 'Why do you need to plug it in?'" Told affectionately, the joke sums up Page's fierce, relentless ambition. He's notoriously unsatisfied by ideas that don't push technology forward by 10x. You can see Page's big dreams at work within Google X, where the company is working on smart-contact lenses, self-driving cars, internet-bearing balloons, and humanoid robots. That drive paired with Page's demanding standards and Google's rock-solid financial results compelled Fortune to name him its 2014 Businessperson of the Year. "You feel terrified, inspired, and nurtured at the same time," Andy Conrad, who leads Google's new project that focuses on creating magnetic nanoparticles that can search for disease, told Helft of discussing ideas with Page. See who else made Fortune's list here.